I love discovering a new author as much as I love Friday afternoons. I’m enjoying both of those beauts right now. While researching what to read next, I came across Jillian Cantor’s The Lost Letter. Another comparison to The Nightingale caught my eye, but I’m rightfully suspicious after The Wartime Sisters. It was Georgia Hunter that pushed Cantor’s historical novel to the top of my pile. When the author of We Were the Lucky Ones boasted that she “devoured The Lost Letter…an intriguing and very personal story of resistance,” I was immediately on board. I got wholly caught up in the captivating story of Kristoff and the Fabers, the family he never had. The story centers around an unusual World War II Austrian stamp. Frederick Faber, prominent Jewish stamp engraver, looks into the future far enough to train his young apprentice Kristoff to take his place before Kristallnacht. Despite being coerced to create stamps for the Germans, Kristoff enjoys one of the best times of his life. For the same reason I loved The Tattooist of Auschwitz, I thoroughly enjoyed this great little find. Cantor created “beautifully drawn characters.” The Austrian stamp seems to have a magical quality about it, as it spans decades to prescribe love for others. This book embodies hope. The message that “There isn't just one ending, one answer, one person who can make us happy, or not. Maybe we can all begin again, become different people” is one that I needed to hear. Thank you, Jillian. So glad to have met. P.S. I really enjoy this read—enough to check out Cantor’s latest, In Another Time, (released just last month) real soon! What do Clark Gable, Spencer Tracy, and James Stewart have in common? Are we too young to know this? I sure hope so. If you’ve picked up a copy of The Only Woman in the Room, you may know the answer. They all worked with “The Most Beautiful Woman in Films”: Hedy Lamarr. That’s quite a superlative, isn’t it? Don’t think for one minute that Hedy is just a pretty face. She had a brilliant mind—the mind of a gifted scientist. If you love real life stories, you’re bound to love The Only Woman in the Room. Hedy, born to Austrian parents of Jewish decent, comes of age as the Third Reich usurps power. It shouldn’t surprise that she caught the eye of a wealthy ammunitions dealer who obsesses over her. More a trophy than a partner, Hedy finds herself in the controlling grasp of a man in bed with the nazis. She is a prisoner in her own home. But she’s as brave as she is beautiful. In this fictional biography, find out how Hedy dupes her husband and tenaciously takes Hollywood by storm. And how Hedy invents a communication system that later helped enable GPS, Bluetooth, and Wi-Fi. I don’t know about you, but I’m definitely interested in Hedy’s brand of glamorous. p.s. I may have to look into this 2017 film that underscores Hedy’s genius more than her obvious good looks. For the record, I have no trouble putting on my positive pants. I will freely admit that I sometimes struggle to get everything done, but not today my friends. 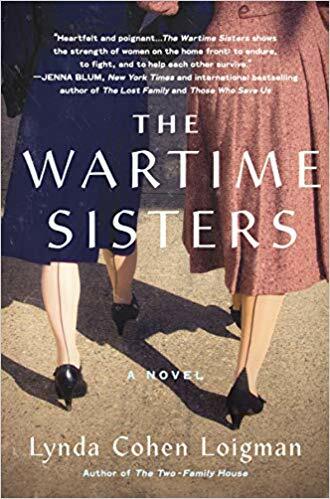 I’m determined to write about my latest listen The Wartime Sisters by Lynda Cohen Loigman. I wish I could chat with the reviewer who forecasted that if I loved The Nightingale and Lilac Girls, I’d be smitten with The Wartime Sisters. Lilac Girls was fascinating, and The Nightingale was illuminating. For me, The Wartime Sisters was meh. Loigman’s story centers around two estranged sisters with secrets: Ruth and Millie, whose relationship suffered early on from loving but sometimes misguided parents. When Millie relocates to Springfield, Massachusetts to rebuild her broken life, her secrets catch up with her. (So do Ruth’s.) Both feel a sisterhood with women who toil behind the scenes at the armory in preparation for World War II. Loigman shares some nice detail, but her story felt a bit predictable to me. Besides, I wanted more depth. Sadly, this didn’t come close to the song of The Nightingale. I hope you don’t think I’ve ditched my positive pants on this one. Not to worry, I can do meh every once in a while. I said it was time to bounce back, and I meant it. Am I wingin it? Yes, yes I am. Maybe that’s my not-so-new normal? On the fly, I asked my book-lovin sis to keep me posted on her new favorite reads. (Sharee’s “hobby job” at Barnes & Noble keeps her apprised of the latest, greatest pages.) She said Born A Crime was fascinating—4 plus stars for sure. In fact, she shared an interview snippet from Born A Crime author, Trevor Noah, to underscore just how interesting this coming-of-age story is. Anyone want to get to know Trevor besides me? Noah describes how on this particular Sunday night in 1993 — one year before Mandela came to power — Trevor, his mother (Patricia) and his baby brother, Andrew, emerged from an evening service in a wealthy white suburban neighborhood of Johannesburg. (Patricia liked to make a “circuit of churches” in various parts of the city even when their car was broken down.) The only real transportation option for carless Blacks in that part of town was an unregulated system of minibus taxis. After a long wait, a minibus driven by a Zulu man with a foul mouth and inherent dislike for Xhosa women picked up the Noahs. As the only passengers on the bus, the situation soon became hostile and Patricia knew they were in trouble. They ran, hid and eventually escaped into a petrol station, where they called the police. Patricia and Trevor were cut badly, while Andrew miraculously didn’t have a scratch. As they left the gas station Trevor says to his mother, “Look, Mom. I know you love Jesus, but maybe next week you could ask him to meet us at our house.” Patricia grinned at Noah, and the bleeding mother and son erupted into laughter. Okay, it’s time to bounce back. We have been off the grid, MIA, unaccounted for and truthfully speaking, kinda lame. We’ll own our lameness, we’re not proud. Don’t believe me? I’m writing a Monday mini-review on Wednesday. Here’s the thing: I’ve been on a Kennedy bender. I know there’s no such thing as royalty in the United States, but if any family has come close to that level, it’s the Kennedys. Who needs the Kardashians when you’ve got political power, fame, fashion, r deletion, beauty and tragedy all rolled into one Irish Catholic bunch? If your curiosity is piqued, here are two reads for you. While the Kennedy family occupied a prominent place in the world’s spotlight for decades, one Kennedy remained in the shadows. Beautiful Rosemary, the third child belonging to Joe and Rose, was born with developmental disabilities and later hidden as a result of her intellectual deficiencies. Larson’s narrative does not hide the Kennedy’s disregard for Rosemary’s needs at times. Of course, little was known about how to treat mentally challenged individuals in the first half of the 20th century, but sometimes the Kennedy’s ambition and power budged out humaneness. Larson offers a silver lining to the story when she echoes Eunice Kennedy’s thought that it was through the loving, indomitable spirit of Rosemary, that the Kennedy family found one of its greatest missions and in doing so, changed millions of lives. I’m so glad I got to meet Rosemary. (And to learn more about important mental health issues.) This was an interesting, sometimes fascinating read. Know that Larson presents a whole lotta facts, so it feels more methodical than lovely as far as the story telling goes. I’m happy to report that I was not alive the day JFK died. 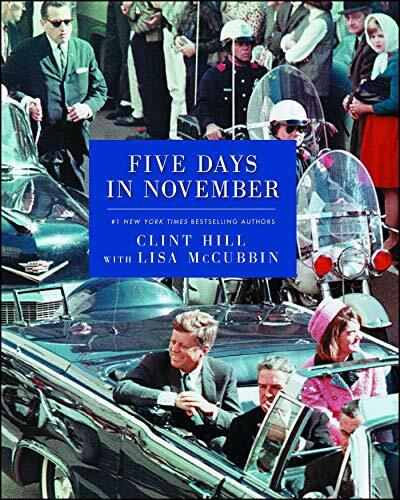 Five days in November gave me an intimate look at that horrifying day in Dallas—and an even greater respect for Jackie Kennedy, who proved that bravery, kindness, and grace can outshine tragedy. Hill, the secret service agent who first responded to shots fired by jumping onto the trunk of the President’s car, gives a surprisingly detailed account of the president’s assassination all these years later. I agree with the Publishers Weekly editor who said, “What this book—whose contents we’ve waited 50 years for—lacks in artistry, it makes up for in immediacy.” The moving pictures in Hill’s book may well equal a thousand words. Know this, I may bow and scrape a little when it comes to some of those Kennedys. p.s. If I were on a real bender, I’d read Mrs. Kennedy and Me next. While I’m pretty sure a tall Diet Coke isn’t what you had in mind, and slightly tinted Burt’s Bees is as close to lipstick as I’ll ever get, I’m with ya, Liz. Time to pull myself together. And what better way than with my top reads of 2018? To mix things up a bit, since I’m suddenly so on top of things, I thought I’d break things down a little differently this year—mainly because choosing my favorites seemed especially excruciating this go around. Which for an ardent fan of the page, is a fantastic problem to have. While I’m struggling to narrow down a list of favorites, there’s no question this one sits squarely at the tippity-top. Click here for my review. Other than Just Mercy, that is. But I’m not counting that one since it won overall. My list; my rules. A very close second…or really, third, would be 40 Autumns. Reviews of both coming soon. Promise. This fictional story based on real-life literary hero, Dita Kraus, will stay with me for a good long while. Read my review here. A close second? 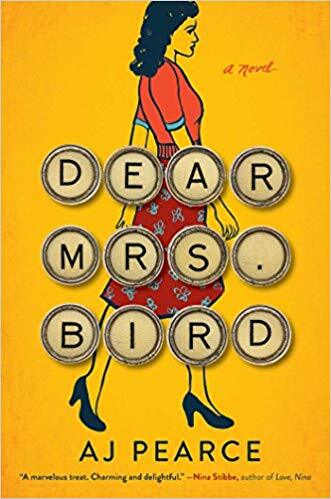 Dear Mrs. Bird. This book reminded me all over again why I love reading. A very close second for the same reason: Virgil Wander. Click here for my review. I’m with Tray on this one. (Spoiler alert: I’m always with Tray.) Anna Popplewell’s performance is spot on. No surprise I’m with Tray on this one too. So glad she found this gem and sent it my way—she always keeps me in good books. Read her review here. My most anticipated read of the year quickly turned into my biggest letdown. Read my review here. Rachel’s said it before and I’ll say it again, “We take birthdays seriously around here!” So why wasn’t I in the same zip code as Rae on the 1st? Why, oh why? (I promise I would have sung the high harmony, Michael Scott style.) Now granted, I got to see her the previous Saturday for not nearly enough hours, but you should get to spend considerable time with the people you love most. Good fun, favorite humans, favorite reads…I want it all apparently. Honestly, I’m struggling to narrow down my favorites. It’s just so hard. The Tattooist of Auschwitz noses out Where the Crawdads Sing by virtue of the fact that it is based on a real-life, against-all-odds story. One that has profound staying power. I admire Lale Sokolov’s indomitable hope and his deep-rooted integrity. 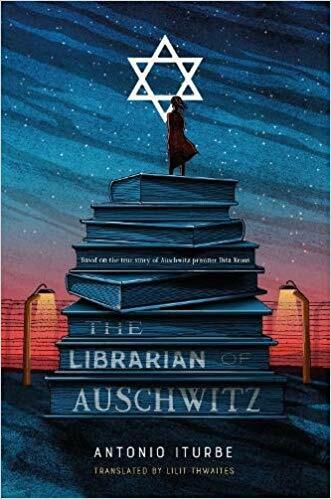 This is a holocaust novel you won’t want to miss. Audible narrator Anna Popplewell brought the oh-so memorable character Emmeline Lake to life. Rae and I concur, this is definitely a listen worthy of repetition. 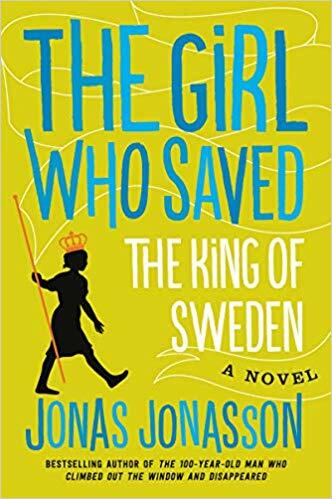 The only thing better than a highly entertaining Jonas Jonasson novel is Peter Kenny reading one of them. If you don’t believe me, check out Jonasson’s latest: The Accidental Further Adventures of the Hundred-Year-Old Man. This book is a sequel to a best seller of a similar name with a different narrator. Wisely, they went with Kenny on round two. Good idea! I’m out of space, I know. Here are the honorable mentions: Where the Crawdads Sing by Delia Owens. It’s a toss-up between Virgil Wander and The Paris Wife. Anything by Neil Gaiman is well beyond an honorable mention—he’s top-of-the-list, just below the birthday girl. I had a co-worker who would always say “Happy Monday!” Is it me, or is this an oxymoron? Mondays come fast and hard. I thought a mini-review might chase away beginning-of-the-week blues. And who better to help cheer us than Bristish lovely Diane Setterfield? Rae introduced me to the master storyteller a while back. I tried to return the favor; for Christmas, I gave her Setterfield’s latest Once Upon a River. 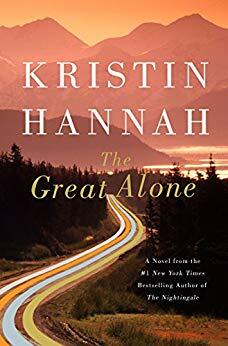 I L-O-V-E-D listening to this magical, puzzling tale of three desperate families in search of three girls, all independently and mysteriously missing. Like the river it revolves around, the Thames, Setterfield’s modern folklore will draw you in. Hers is a rich plot with highly memorable characters whose lives are impeccably intertwined. Combine an enchanting yarn with audible phenom, the gifted Juliet Stevenson, and you’re bound to swoon over Once Upon a River. To the Top 100 reviewer who said, “if I threw [this book] across the room, I think it might fly,” I offer my two cents—not only does Once Upon a River fly, it will take you to another world that leaves you wanting when your feet eventually touch back down on the ground. Two girls who met at London Study Abroad, became fast friends fast, and share a penchant for picking good books. **If you lived at 27 Palace Ct and want your own free printable (minus us, of course) click here. Courtesy of the insanely talented Alma Loveland. Let's keep in touch! We'll send you emails when we post book reviews. To subscribe type your email below and click "Sign Up".